Dr. Vange is passionate in providing patient centered, integrative medicine for the whole family. She utilizes both conventional and natural treatments to help patients restore balance to their health. Trained in both Western and Eastern medicine, she works to meet your goals and believes simple and effective is one of the most elegant treatment plans. She believes in providing exceptional care by being her patients’ advocate to reveal their root needs for wellness by taking into consideration a patient’s full background, experiences, exposures, and lifestyle to work together and build effective and attainable treatment options. Evangelynn holds a dual degree Doctorate of Naturopathic Medicine and Masters of Acupuncture from Bastyr University. Her special interests include primary care, pediatrics, sports medicine, injury recovery and rehabilitation, pain management, women’s health, men and women’s fertility support, digestive concerns, auto-immune disorders, stress management and preventative wellness. 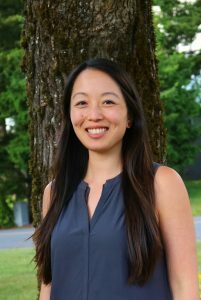 She is a member of the Washington State Association of Naturopathic Physicians (WANP), American Association of Naturopathic Physicians (AANP), as well as Washington East Asian Medical Association (WEAMA). To find balance in her own life, she enjoys adventuring outdoors in the amazing playground we have right in our backyard – such as hiking, rock climbing, kayaking, surfing, and backpacking.